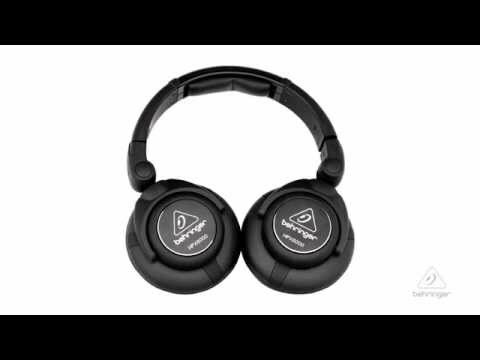 BEHRINGER HPX6000 Professional DJ Headphones provide all of this at a price that will surprise you. Now you CAN have it all—amazing sound, stylish comfort and real value. Having great sound is one thing, but being a DJ is also about style. You don’t just have to sound good—you have to look good, too. The HPX6000 takes style and comfort to a whole new level! On top of their rugged construction, we made sure to choose the right materials to give these headphones a classic look and feel. From the soft touch rubberized coating to the leather ear cushions and headband pad, these phones feel fantastic on your head or in your hands. And we include a carrying bag in the package to make sure they stay that way.